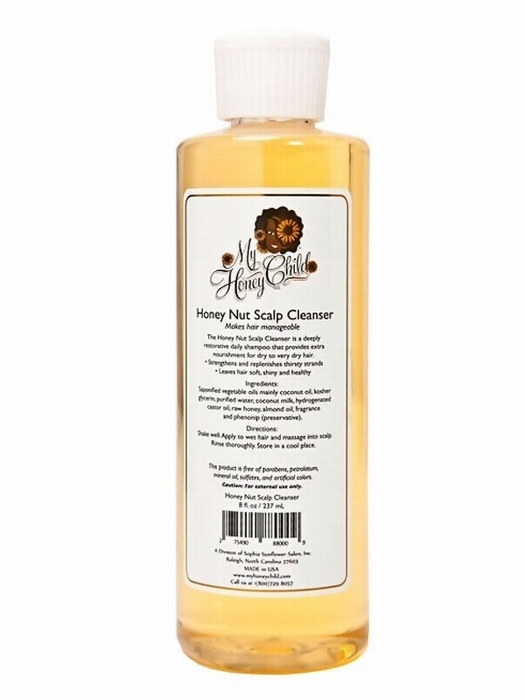 The Honey Nutt Scalp Cleanser combines a delicate scent of honey,and almonds . It nourishes and restores natural gloss, leaves hair ultra-soft and shiny. Shake well. Apply to wet hair and massage into scalp. Shampoo as usual. Rinse thoroughly. Condition afterwards with the Honey Nutt Conditioner. Deep condition with the Honey Hair Mask. Saponified vegetable oils mainly coconut oil, kosher glycerin, purified water, coconut milk, hydrogenated castor oil, raw honey ,almond oil , fragrance , phenoxyethanol and caprylyl glycol (Optiphen®).